Product Summary: This is a gentle shampoo. However, for some reason, it always tastes like I got perfume sprayed in my mouth after using it, so I don’t reach for it as often as I could for only that reason. Update 9/17/2016: I’ve used this shampoo twice now and I do like it. It has a sticky custard texture, and lightly cleanses but not too much. If you were using styling products or products with acrylates and other sticky items, this shampoo may be too gentle. But if you’ve only been using products that don’t have those things (like the recommended products here), this should be a nicely soft cleanser. Therefore, I’m recommending this shampoo. 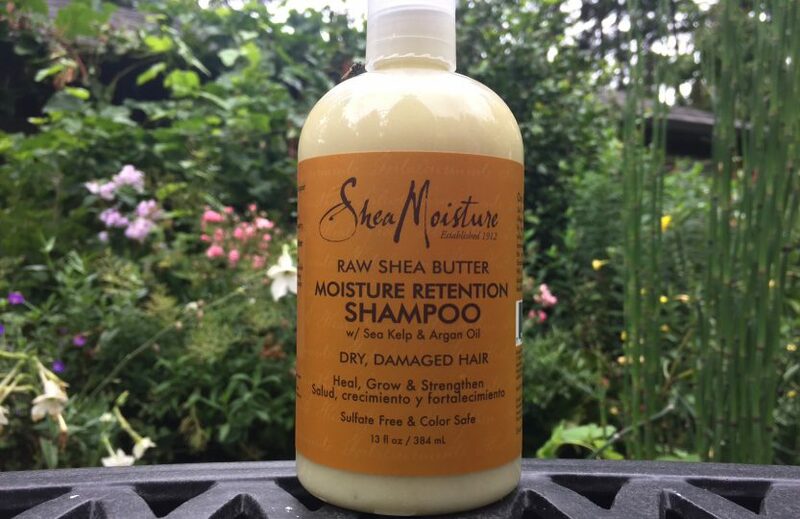 Shea Motion Raw Shea Butter Moisture Retention Shampoo on first glance looks like all the ingredients are familiar, but I like to double check them anyway. I’m hoping to get to try this shampoo this weekend.